Ole Gunnar Solskjaer has his fortunes to thank as Manchester United won 2-1 against West Ham United at Old Trafford. 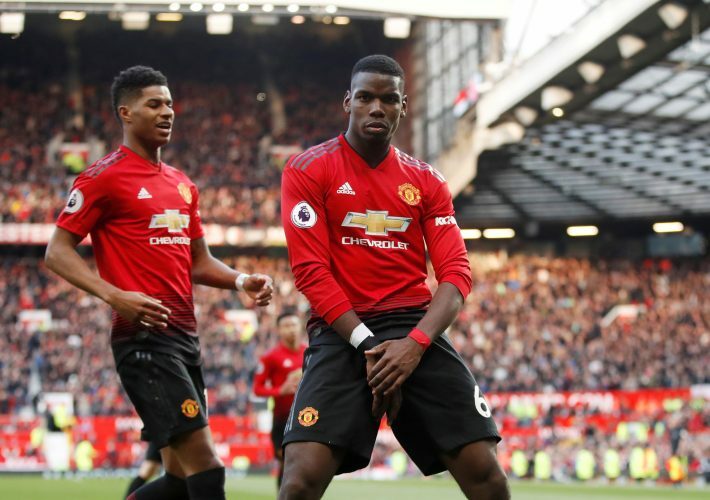 The much-needed three points were secured through a brace from Paul Pogba, although it arrived in the form of two penalties. The Hammers were the better side in the second-half when they equalized through Felipe Anderson, but in the end their intent couldn’t be converted into much as the home side powered through. Two well-found penalties from Paul Pogba. Spot-kicks were beginning to be a touchy subject for the Frenchman, especially after he missed three. In particular, it was his slow-run up style that seemed to be critiqued across the board, with even Ole Gunnar Solskjaer openly stating that he doesn’t prefer the technique but wouldn’t care as long as the ball is buried at the back of the net in the end. Sure enough, both the kicks displayed a different approach from the midfielder, who instead rushed through and placed them. It appeared certain that the Theatre of Dreams and the West Ham players alike were hoping for the same slow run-up, wherein the change was a pleasant surprise. Ever since Solskjaer’s appointment as permanent manager, the club’s focus has been all over the place. It is evident that they lack in quality, but the first few games under the Norwegian seemed to have fooled the Old Trafford faithful as to the real woes afflicting their side. The management must take great notice of this and amend these flaws in the transfer window. Factoring in contracts to be renewed, players to be sold, new talent to be brought, youngsters to be loaned, and a roster to be trained and overhauled, the summer is going to be amongst the busiest that the Red Devils have had in a long time. 3. The next 7th Best? West Ham didn’t appear like a struggling side at all at Old Trafford. It goes without saying that if they are able to keep the present lot of talented players within the club and injury-free, much can be achieved by them in the upcoming season. In fact, judging by their intent and sheer passion over the past few weeks, it isn’t unfathomable to consider that they could challenge the likes of Everton, Watford, and Wolves for the borderline 7th place spot in England- a heartbeat away from the best. While United’s need for an able centre-back has been harped on for multiple transfer windows now, games like this one and their general showing in the recent past has shown yet another flaw- the right-back. For a side that relies heavily on their full-backs storming forward and dictating the play, United’s rightbacks are quite a sorry sight. Ashley Young is simply too old to continue in the positon whereas Diogo Dalot, signed as the prospective long-term inheritor of that spot, is too young and far too attack-oriented to contribute in a balanced manner. His defensive impudence was evident when one saw the way in which Masuaku repeatedly exploited him on Saturday. A new player needs to be signed there, perhaps Wan Bissaka fits the bill just well? One thing that this side has seemed to have figured out however, is their midfield partnership. 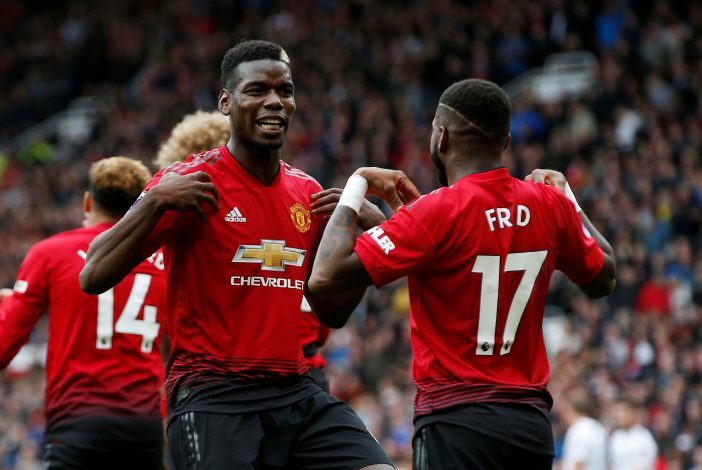 Against Barcelona, the passing between Pogba and Fred was a defining feature of precisely why United dominated the technical aspect of the game. The West-Ham game also displayed this quite well. If Fred continues his development in this manner, along with Pogba he could frame an impeccable and long-term partnership. Perhaps the Ander Herrera replacement that Ed Woodward and company may have already begun fretting about has already been found in the expensive Brazilian.